There comes a point when entrepreneurs/founders want to expand and grow their business, be it adding a new service/product, opening a new location or adding staff to grow existing services. 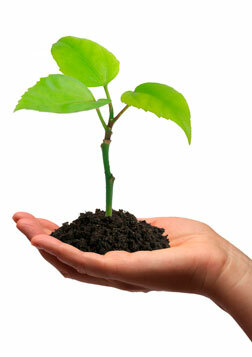 I would recommend 3 key tips for businesses to consider before embarking on a growth phase. To make sure you handle the growth phase properly, you must have a plan. Investing into new premises, staff or equipment means that you have to fund these through borrowing or additional equity or through the cash generated by the business itself. Too many businesses, invest into growth for the sake of growth without considering whether it would enhance the bottom line returns. Growing your business should mean that current earnings (EBITDA) margins are bettered by the new services and certainly not less than your current earnings! Otherwise, you will be spending a lot of money and time to lower your returns. See my earlier blog on the importance of EBITDA. So a business plan is essential, even if it’s a very simple one drawn on 2 pages! Funding methods will be important since any external funding will come at a cost to the business, whether in the form of interest costs and mortgage charges on any equipment/premises invested into or in the form of giving up a part of the ownership if external investors’ are required. If cash from the business itself is used, none of the above costs and issues arise but you better make sure you can generate better returns than the current returns, otherwise it won’t be a wise investment. There are many alternative external financing methods to consider from asset leasing, invoice factoring, invoice discounting and plain bank loans. All these sources will take time to organise since any lender will want to inspect the company accounts and run credit checks etc. See my earlier blogs on each of these funding sources. If external equity investors get involved, the timing could be longer since a lot more due diligence will be required. If the quantum of funding required is much higher than a lender would be willing to lend, then external investors would be a solution. Here again, depending on the size of your business and the amount required, angel investors to various venture capital funds maybe interested. Whatever the method of funding, you will also need to ensure that the business can cope with the growth and have the necessary human and other resources required within the organisation. This would include additional marketing efforts, new staff as well as beefing up existing staffing. Any external funder would require this so that their investment is protected, however, many businesses don’t cope with growth due to oversight of these factors. You will also need to monitor the performance of the new investment to ensure that the returns are generated as planned and be prepared to take corrective actions. See my blog on key performance indicators‘. You could also be in a position where the growth exceeds what was planned and it is important not to get caught out since fast growth could lead to cash flow problems, i.e. debtor growth could mean slower payments and with higher costs. Growing your business is exciting and as long as you plan and manage it properly, it can take the business to the next level. ← Profit or cash – what is more important and why?